It has 4 pads for greater effectiveness to surpress snaking & pitching. Easy to use – Convenient one handed, single lever hitching operation. 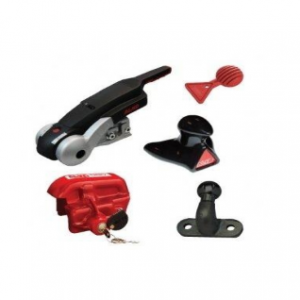 This triple pack comes complete with ALKOs Sold Secure approved hitch lock. ALKO hitch lock which fits hitched & unhitched. ALKO extended neck towball & towball boot.